We have passed equinox on 20th March, and since then we have more light than anyone south of us. We are heading rapidly towards Polar Day. While we have natural light in abundance now, also artificial light has arrived on Day 54 (27th March)! 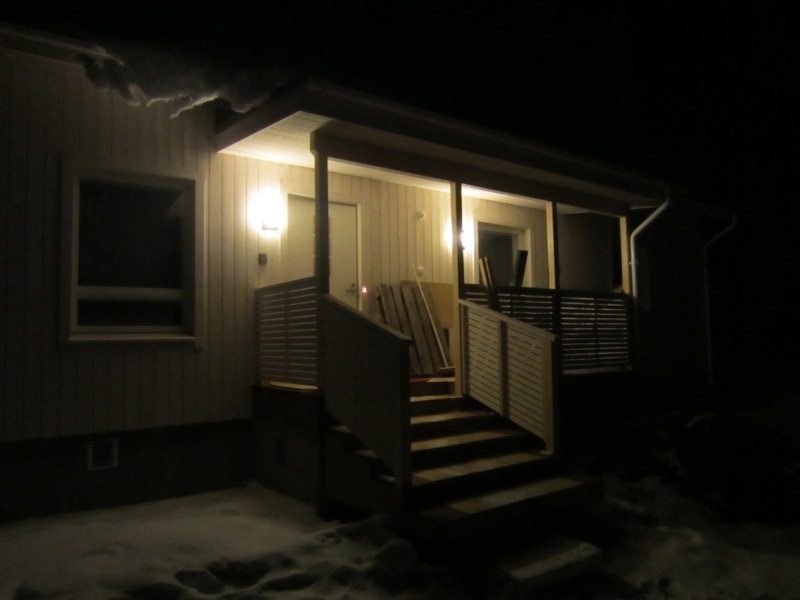 When I arrived in the evening to check on the progress, I was surprised to see that the lights came on on the front porch: motion sensor! Nice touch. 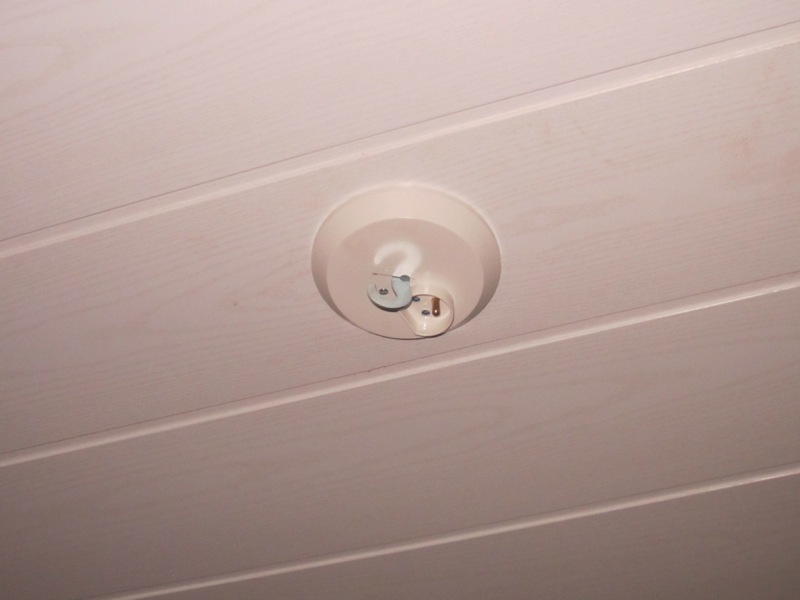 Six standard "UFO"-type basic lamps have been fitted in bathrooms and utility room as well as in the vestibule. However, most lamps we have to provide ourselves, and Finland has a really useful standard: under the ceiling, there are electrical sockets and hooks to connect lamps to, like the one in the photo above. Thus, fitting a lamp is as easy as buying it, adjusting the cable to length, hanging it on the hook, and plugging it in. Job done. Earlier in the day I spotted this odd lamp hanging from the living room ceiling. 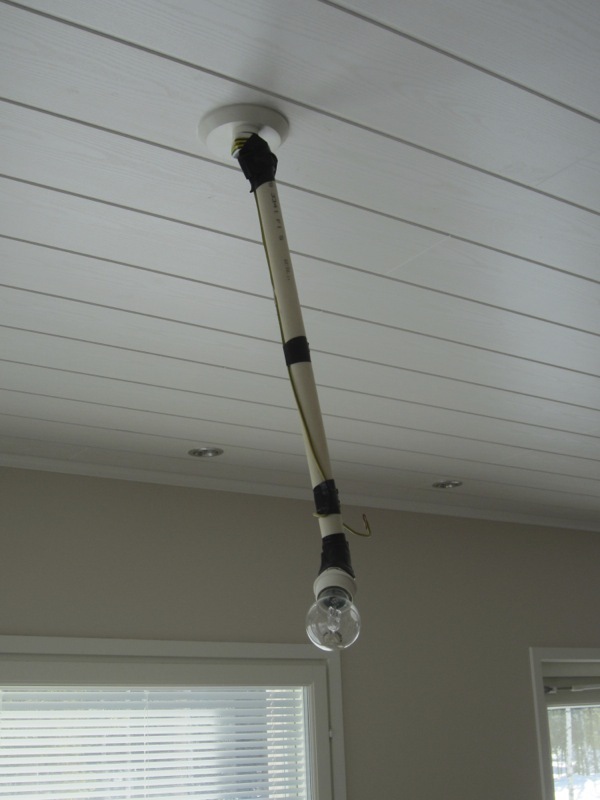 Obviously it is meant for either testing if the socket works, or then for providing temporary lighting. Very handy. 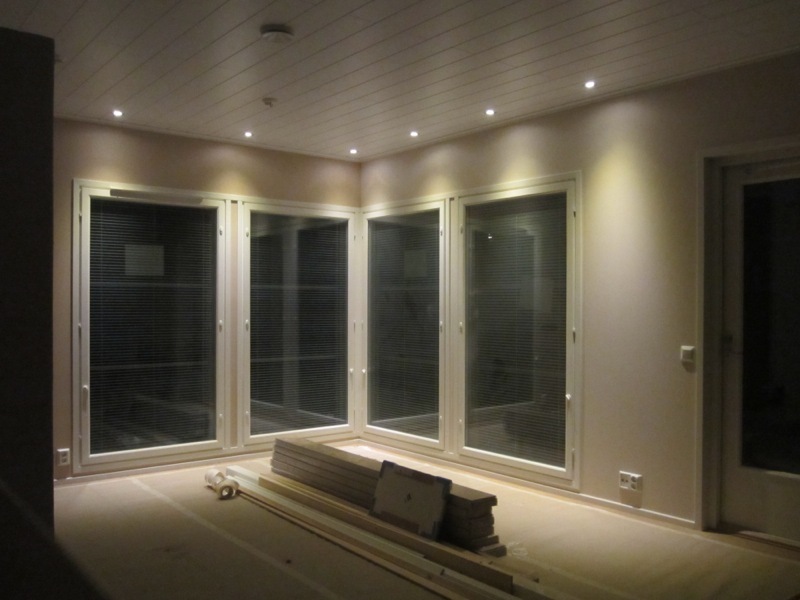 Six LED lights are fitted above the living room windows. We saw these lights during another house show in Sodankylä, and we immediately thought that they are just perfect to round off the effect of the large windows. 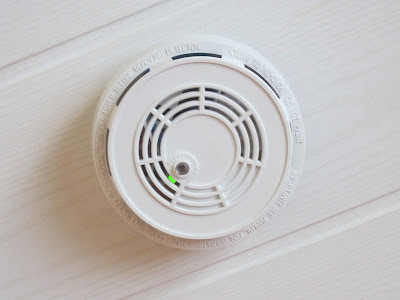 Safety first: the house came with a standard of only two smoke detectors and upon recommendation from our site supervisor as well as from the building inspector we added four more, one in each bedroom. They are interconnected and go off simultaneously, and they run off mains electricity with battery backup.